The Best Books Ever: Best Book Ever: Classic Retellings! Best Book Ever: Classic Retellings! This week on Best Book Ever, we're talking about classic retellings! From stories like Wicked, which take us deeper into a world we already know, to Pride & Prejudice & Zombies, which gives us something familiar mixed with something new, we're looking at anything that puts a new spin on something we already know and love. We've got some great picks this week, check them out! 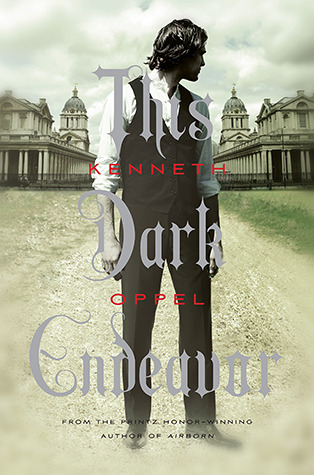 My favorite classic relaunched is THIS DARK ENDEAVOR by Kenneth Oppel, which is about a teenage Viktor Frankenstein. Teen Viktor is every bit as wound up in the idea of his own intelligence and glory as Mary Shelley's adult Dr. Frankenstein, but with the added drive and self-centered worldview of a teenage boy... oh and lust, too. Beautiful distant cousin Elizabeth is living with the Frankensteins - Viktor and his twin brother Konrad, who Elizabeth is in love with. When Konrad dies from an illness, there's a lovely dark question of whether Viktor wants to bring Konrad back from the dead to prove his own abilities or out of love for his brother. On the other hand, with Konrad dead, Elizabeth just might like Viktor after all. Oh, it's a juicy dark fun read!! 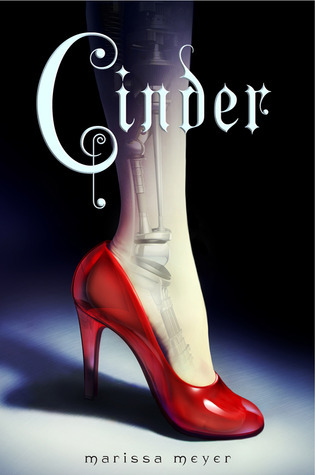 My favorite classic retelling has to be Cinder by Marissa Meyer. Why? Um...Sci-fi Cinderella + the future + cyborgs + a deadly plague? Yes, please! This book is my undisputed favorite because it takes a classic and adds so much to it without detracting from the original story. The building blocks of Cinderella are there, but the compelling characterization, plot & voice turn this into something even bigger. Loved that the world building and technology were so well thought out and implemented. And I admit, going into retellings, I don't always expect the pacing to keep me turning pages, but this one did. If you haven't read Cinder, you should. I love this book! So. Much. It's one that I've read and re-read and it still makes me laugh. 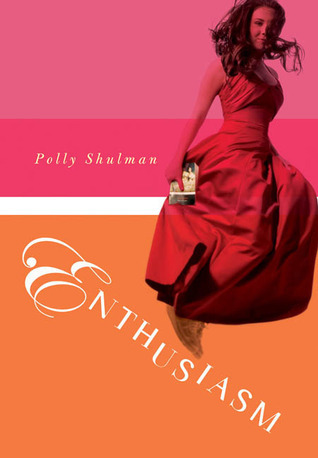 Enthusiasm is a modern Jane Austen-esque story about two friends who are obsessed with Jane Austen. Julie is the pragmatic reader and her best friend Ashleigh... well, Ashleigh has *enthusiasms* -- these are short-lived fixations -- and her current one is Jane Austen. But, if you're Ashleigh, this doesn't mean renting the BBC mini-series and binging on Mr. Darcy Firth -- it means dressing up in long skirts, attempting to talk in period speak, learning to minuet, breaking into the local boys academy so she can find her own Mr. Darcy... and, of course, dragging Julie along. 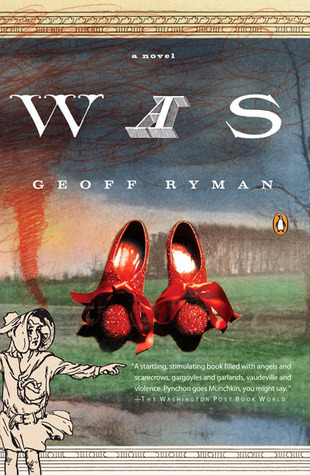 The best classic retelling I've read is the masterful Was by Geoff Ryman. I am a big fan of The Wizard of Oz, and Ryman tells the story like no other. In his novel, we follow three different versions of the same story: We follow L. Frank Baum as he meets the real-life Dorothy and rewrites her tragic tale; we meet actress Judy Garland, who played Dorothy in the 1939 musical; and we are introduced to another actor, Jonathan, who is dying of AIDS in the 1980s. This is a dark, sorrowful, imaginative book that weaves together three moving narratives all connected by Oz, adding a truly original and thought-provoking chapter to the original work. I almost skipped making a pick this week, as I honestly couldn't think of any book of this sort that I'd read and remembered well enough to recommend, but then Mindy's pick reminded me of another Frankenstein retelling that I'd read. 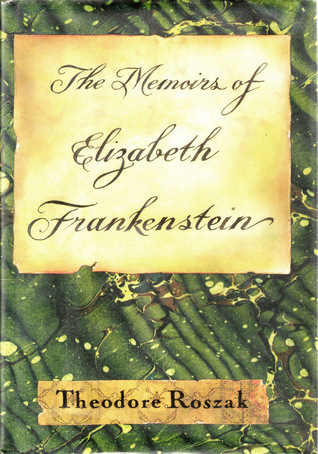 The Memoirs of Elizabeth Frankenstein by Theodore Roszak takes a look at the Frankenstein story through the eyes of Elizabeth, Frankenstein's bride. This is a weird, weird book, involving magic and rituals and some graphic adult situations, and there's criticism that it doesn't follow the original Frankenstein story very well. It's still a pretty fascinating look at a character who we never learn much about in the original, and a fascinating comparison of the more feminine mystical arts that Elizabeth relies on, and the more masculine alchemy that Viktor is convinced is the best path. What about you? What's your favorite classic retelling? I really like The Map of Time by Felix Palma and the Once Upon a Time series of books. So excited to see Enthusiasm! I picked this book up years ago randomly and enjoyed it a lot. I hope this encourages more people to check it out.